Because of private reasons I'll stop maintaining the addons at the end of this year (2015). Please fork the projects from GitHub or rewrite them completely. But I haven't the time or motivation anymore to do so, because other things in life got more important for me in the past 2 month. There is a new thread started by the new team maintaining this add-on - click here to go to it. great, i'm going to test. Login has been added. Feedback would be nice so I can see if everything works fine. To Login into YouTube you have to go into the settings of the addon before navigating into the root directory. After you have entered your credentials, you should see your subscriptions and so on. (2014-07-29, 02:40)upandcumming Wrote: Login not working! Did you not read post #4? I appreciate your efforts to remove some sluggish features inorder to stream line video playback. This YouTube (ALPHA) addon does seem a bit faster to me. Also I really like how this version shows the avatar pics of the subscriptions. I often add subscription channels to may favorites and then have to go and set the icon on my own. With the YouTube (ALPHA) version I don't have to do that anymore. Thank you for all of your effort with this. Which dialogs do you mean exactly? 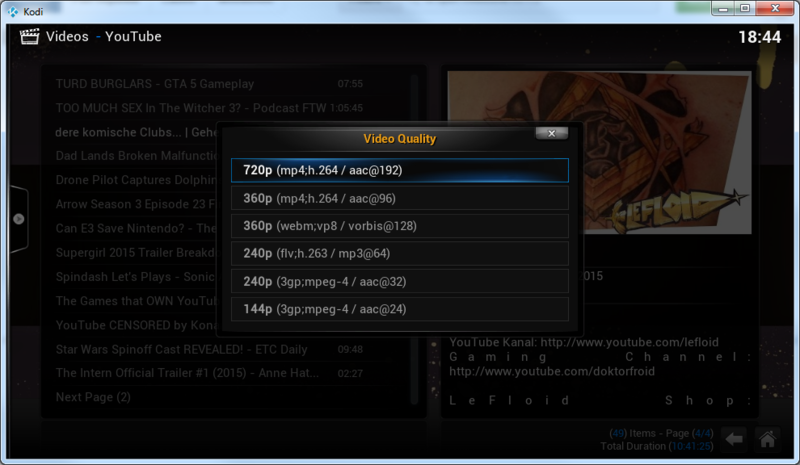 (2014-07-29, 19:18)TomFreeloader Wrote: This YouTube (ALPHA) addon does seem a bit faster to me. Also I really like how this version shows the avatar pics of the subscriptions. I often add subscription channels to may favorites and then have to go and set the icon on my own. 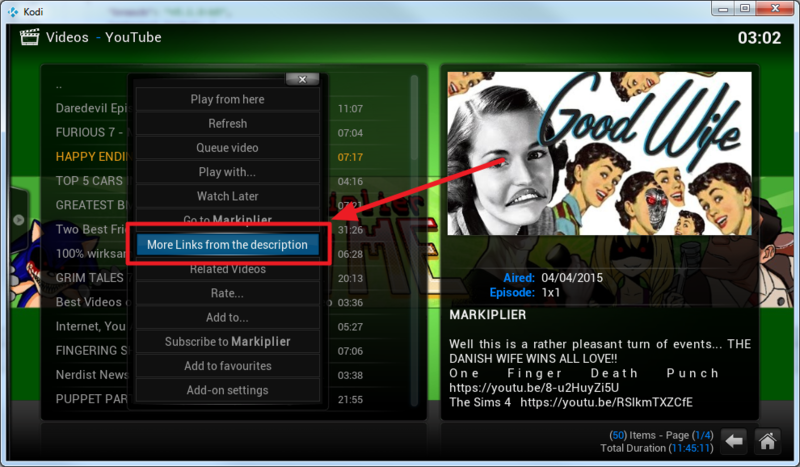 With the YouTube (ALPHA) version I don't have to do that anymore. Thank you for all of your effort with this. Very good work bromix, really liking this. I am hoping that my search history could stay visible (without logging in), hopefully that is possible. 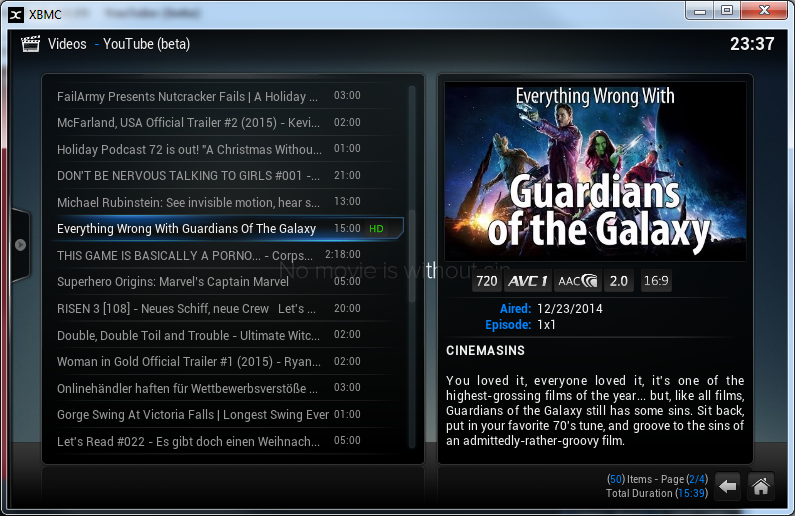 Like the work on this so far, would like to make a request; feature:- to auto play unwatched or random..